As recent wars rage on and the news becomes more and more desperate, it’s obvious that Christianity is suffering. From Iraq, Iran, Syria, Nigeria, Libya, including many Eastern nations like China, Pakistan and North Korea, many are suffering immensely. Even some places in the West are seeing Christianity at the verge of a precipice. There’s a great dark divide that threatens not only our lives and freedom, but our very existence. As our brothers and sisters flee this darkness, we in the west face constant pressure to conform to silence. A way of life that tells us to worship in silent unity, or don’t worship at all. Our beloved Apostles faced this very same thing. They suffered torture, even death for speaking about the love of Christ and His gift of salvation for those who follow Him. In love, Christ died so that the world might be set free from the slavery of sin. That we might have a life abundant, freedom, blessings and love. By His command, our mission is to spread His Gospel of love and the freedom it brings as the Apostles did, even in persecution. Today, we see times of hatred warned of long ago. This is not 1942, which world leaders had vowed would never come again. It’s 2014 and it’s spreading across the globe with a vengeance. As the world looks on in horror, persecution of Christians has reached genocidal proportions. We in the West can’t begin to imagine what these dear brothers and sisters are facing. We can only watch & pray and consider ways to come to their aid and encourage one another. I just wanted to let Pastor Saeed and his family know that I pray for Pastor Saeed, every morning. I pray to the Father in Jesus name for his wounds, that they may be healed. I pray every morning for his well being. I also pray for his wife who longs to have her husband home. I pray that Jesus may bring him home. I pray for his children who long to see their dad home. And I pray for his mother who longs to see her son. I pray that you will all be reunited in Jesus name as soon as possible. Francisco, thank you for sharing how you have been inspired to pray for Pastor Saeed and his family. Thank you for remembering them as they suffer persecution and persevere in Christ. We will also pray as you start each morning with God, that He blesses you from beginning to the end of each day. Why don’t we start believing God for His release? Let’s set a date 3 months from now. Oct 9, 2014. 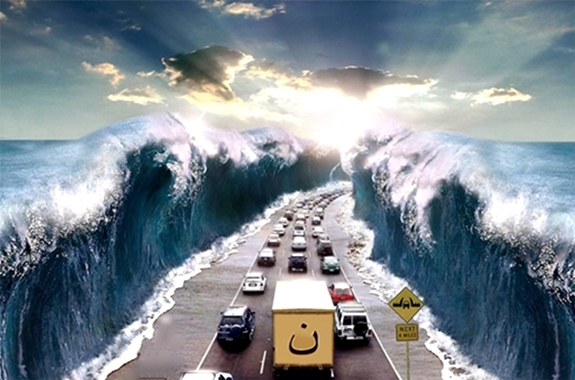 I will petition God daily for Saeed to be released within 3 months. I will speak into the heavens and declare he will be released in 3 months. Let’s get all our brothers and sisters believing for this and petitioning heaven for this. Amen Jesus! Let’s believe for an actual date for his release. Joining in agreement with you. Thank you and God bless you, Nela for praying and trusting God in Saeed’s case! We will also keep you in our prayers. 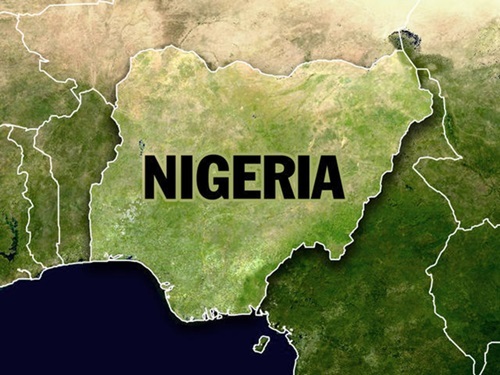 Nigeria (Morning Star News) – A bomb attack in the northern Nigerian city of Kano on Sunday (July 27) killed four Christians and a soldier, sources said. The bomb was hurled over a fence of St. Charles Catholic Church as parishioners were leaving a worship service, they said; Islamic extremists from the Boko Haram terrorist group were suspected. Kano state police corroborated accounts, saying the bomb was detonated on church premises, killing four church members, a soldier on duty at the facility, and injuring eight others. Also on Sunday in the city, five police officers were injured in the course of preventing a suicide bomber outside a university, police said. Hiding the bomb under a long black hijab, or full-body covering, the woman blew herself up after police requested that a female colleague frisk her. Another bomb in the Sabon Gari area exploded at a bus station on Thursday (July 24), killing a woman and injuring eight other people, police said. Boko Haram was also suspected in that incident. At a public health college in Kano on June 23, a bomb blast killed at least eight people, and a suicide car bomb explosion in Sabon Gari on May 19 killed four people, including a young girl. While Boko Haram (translated as “Western education is a sin”) is the moniker residents of Maiduguri, Borno state gave the insurgents, the group calls itself the Jama’atu Ahlis Sunna Lidda’awati wal–Jihad, translated as “The Congregation of the People of Tradition for Proselytism and Jihad.” It seeks to impose sharia (Islamic law) throughout Nigeria. The group has links with Al Shabaab in Somalia and Al Qaeda in the Islamic Maghreb. Christians make up 51.3 percent of Nigeria’s population of 158.2 million, while Muslims account for 45 percent and live mainly in the north. (Voice of the Persecuted) Hundreds of years before the Muslim prophet began receiving ‘revelations’ around 600AD, the beginnings of Islam, Christians have lived in the Iraqi city of Mosul for nearly 2,000 years. ISIS militants imposing harsh Sharia law in Mosul (Iraq’s second largest city) gave Christians a 24 hour ultimatum to convert to Islam, pay a steep tax in submission, leave, or be executed. 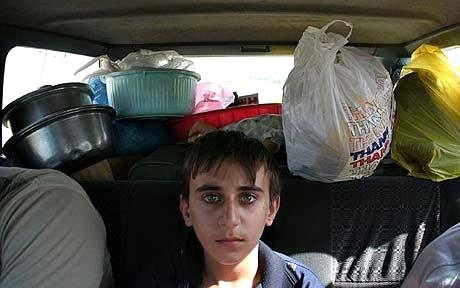 Thousands of terrified Iraqi Christians evacuated their homes—many headed towards Kurdistan for protection. Unconfirmed reports claim only 20 Christian families still remain. About 100,000 Christians had resided in the city 10 years ago, but their numbers have diminished as they became targets of Islamic hardliners and ongoing violence. He called on the British government to do more to help Christians fleeing Iraq. On Monday, French ministers offered asylum to the thousands of Mosul Christians forced from their homes. The offer was made in a statement, by Laurent Fabius, the foreign minister, and Bernard Cazeneuve, the interior minister, who said they were shocked by the persecution of the minority. Present-day Mosul encompasses the site of the ancient Assyrian capital of Nineveh, where, the Bible teaches, the Prophet Jonah preached. Although this is disputed, a tradition holds that Jonah was buried within the city, on Tell Nebi Yunus, or Hill of the Prophet Jonah. An Assyrian church stood over the tomb for centuries. After the Muslim conquest, the church became a mosque. Last week, ISIS prevented worshipers from entering the mosque and using explosives reduced it to rubble, as a crowd looked on. The violent jihadist group is part of the Salafi movement, a Sunni branch of Islam trying to cleanse the area of anyone who won’t follow an extreme form of Sharia, Islamic law. The movement rejects the centuries of subsequent developments in Islam as unjustified innovations–pagan accretions that adulterated the faith. The veneration of the tomb is considered by them as a kind of idolatry. Salafi Islam is widespread in Saudi Arabia, where it enjoys the patronage of the royal family. On the Arabian Peninsula, as now in Iraq, Salafis have destroyed the tombs of Islamic holy men. When the Saudi royal family captured the city of Medina in the 19th century, Salafis systematically destroyed the tombs of several of the Prophet Mohammed’s companions and family members, leaving only the Prophet’s tomb. Some think that the Saudi government plans on dismantling even that tomb, but hesitates to do so because of the uproar it would cause. The fighting between the Sunni Muslim militant group and the Shia-dominated Iraqi military gives us a glimpse into the wider sectarian war plaguing the country. For years, Sunnis and Shiites have been in disagreement with each other about everything from politics to religion to shares of national wealth, and have fought for power. That infighting is now presenting itself on the frontlines in the form of ethnic cleansing — a crime against humanity punishable under international law. ISIS, now calling themselves IS (Islamic State) has been instilling fear by executing innocent civilians and sharing the atrocities on video. Where is the moderate majority of Muslims doing more to stomp out the radical factions of Islam and protect minorities, throughout the Islamic world. To not take on this responsibility is consent of the extreme intolerance and violence and they will see the extremism continue to spread. One day, they too will find themselves forced to join the radicals or face the same type of oppression we’re witnessing today. Please keep Christians, others being persecuted and the nation of Iraq in your prayers. 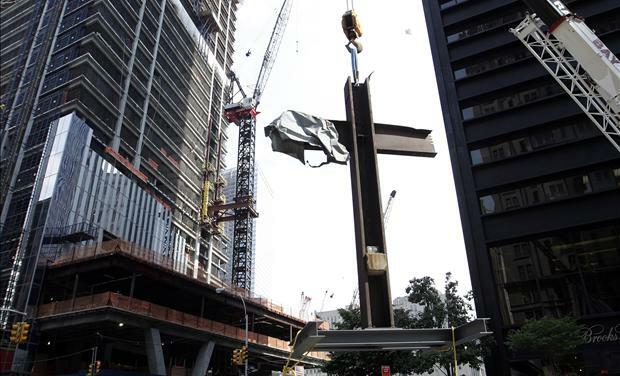 In a decision that represents a ringing affirmation of the presence of faith in the life of our nation, the Second Circuit Court of Appeals has rejected the American Atheists’ challenge to including the famed “Ground Zero Cross” in the National September 11 Museum. American Atheists point to no precedent holding that when a religious symbol or artifact with genuine historical significance is included in a public historical display, the actual purpose is necessarily religious promotion. To the contrary, the Supreme Court has long recognized that an accurate account of human history frequently requires reference to religion: “The history of man is inseparable from the history of religion.” Engel v. Vitale, 370 U.S. 421, 434 (1962). Indeed, as Justice Jackson observed in Illinois ex rel. McCollum v. Board of Education, 333 U.S. 203 (1948) (Jackson, J., concurring), “it is a proper, if not an indispensable, part of preparation for a worldly life to know the roles that religion and religions have played in the tragic story of mankind. The fact is that, for good or for ill, nearly everything in our culture worth transmitting, everything that gives meaning to life, is saturated with religious influences,” id. The ACLJ filed an amicus brief in the case on behalf of the more than 230,000 members of our Committee to Protect the Ground Zero Cross, a brief that heavily relied on our previous victory in Summum. The American Atheists will likely appeal this decision, so the case is not yet over, but the Second Circuit’s opinion represents a profound defeat for those who wish to drive faith not just out of the public square, but out of public memory. We are thankful for this victory for the Constitution, our national heritage, and for common sense. Thank you all so much for your willingness to stand with our brothers and sisters in Iraq. Many of you have been using the Arabic “N” symbol below on your Facebook or Twitter profile to show your concern for Christians being targeted for extortion and/or extinction by soldiers of the Islamic State of Iraq and Syria (ISIS). God bless you for identifying with our brothers and sisters under attack. Others are understandably cynical about simply changing a profile pic as a reminder to pray. You think it’s too small of a gesture—that we must do more. And of course you are right! We all share some of that same attitude, I think. Our American “can-do” mentality begs for a place to direct our anguish. We want to “do” something about the situation. I spoke with a zealous young man today who graciously—yet excitedly—challenged me to “do something.” “We have to do something. Tell me what to do!” He cried. My first response was to embrace his angst wholeheartedly. We really must do something. 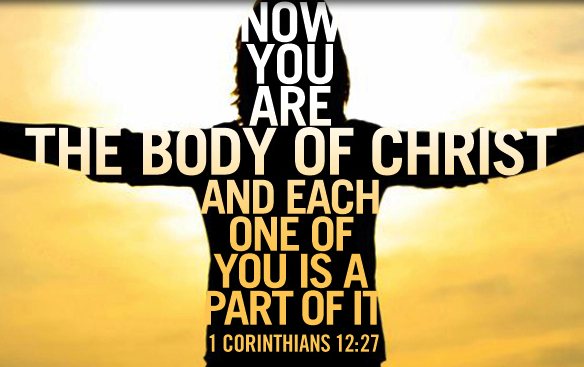 Our Christian brothers and sisters have been marked for death. Their wages have been stolen. Their homes and their homeland is now instantly closed to them. If they stay, they will be killed. If they leave, they will lose everything they once relied upon—houses, cars, money, jobs, friends. The situation is brutal. Surely we can do more than pray! During those many days the king of Egypt died, and the people of Israel groaned because of their slavery and cried out for help. 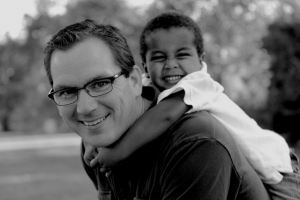 Their cry for rescue from slavery came up to God. And God heard their groaning, and God remembered his covenant with Abraham, with Isaac, and with Jacob. God saw the people of Israel—and God knew” Ex 2:23-25 (ESV). Fervently from the heart. Our prayers must be urgent, zealous, fearful, yet fully-fired with faith. Think of it this way: What would you do if you came home from work this evening only to discover that a gang had captured your sister and informed her that she had 24 hours to pay a ransom or die? Would that not be a fiery trial that would cause you to cry out to God on her behalf? Would you not shriek with horror and beg for mercy? Fiery trials no doubt beget fiery prayers. There is a sword at the throat of our family. Pray! Notice how Paul admitted being excessively burdened—beyond any human strength. Is that not the burden our brothers and sisters are under now in Iraq? What earthly power is (a) willing to save them and (b) able to save them? Some (like the U.S. Military) seem able but not willing. Others perhaps are willing but not really able. So, where are Christians to turn? As we pray for our brothers and sisters, we should pray from the position of complete and utter despair of human deliverance. In that position, Paul says, we find our sure hope of trusting not in ourselves but in God who raises the dead! Resurrection. God is no less able to deliver today than he was when Paul was preaching the gospel in Asia (and the Middle East). So pray to God that he would raise the dead to new life in Mosul, Iraq. Pray for the current loss to be made gain. After Stephen was martyred (Acts 7), the early church was scattered on account of the increasing persecution. Nevertheless, the gospel went forth with power everywhere the Christians fled. Even so, God’s gospel will triumph somehow. Pray for His people in Iraq to trust God’s purposes by faith. Fourth, Effectively—as though you expect your prayers to affect much. The prayers of saints saved Paul’s life. Why not now? Why not the lives of those in Mosul, Iraq? If, as we see in 2 Cor 1:11, the churches were able to secure Paul’s release from certain death, then why would not be possible today for our prayers to be the very means God uses to deliver Iraqi Christians from what appears a certain death? Is our God no longer able to deliver? 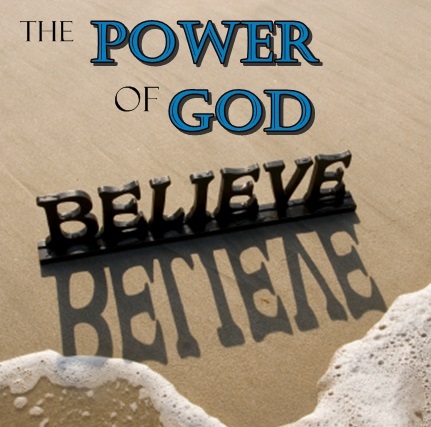 Surely, God is no less powerful now than He was on the day He delivered Daniel or Shadrach, Meshach, and Abednego! A pastor, professor, and advocate for the persecuted church, I want to encourage us to love Christ’s church as He does and give ourselves for her. My official title is Director of the Bachelor of Applied Theology program in the School of Christian Ministries at California Baptist University. However, my heart beats as a pastor. Genuine biblical shepherds are my heroes. Together, we can encourage both shepherds and the sheep.